How To Get More Free Cloud Storage On OneDrive, Copy, Bitcasa & Mega? OneDrive, Copy, Bitcasa and Mega are some of the best cloud storage services available in the market today. OneDrive and Copy come from the biggest names in the technology sector, Microsoft and Barracuda Networks respectively while Mega is the cloud storage offering from the now defunct Megaupload. Microsoft’s OneDrive, Copy, Bitcasa and Mega offer decent amounts of free cloud storage right out of the box. OneDrive offers 15 GB free cloud storage space, Copy too offers 15 GB free storage, Bitcasa offers upto 20 GB free cloud space and Mega gives away 50 GB of free cloud storage space. All this storage space is the minimum amount you get from signing up for these services. There are different ways by which you can stretch the free storage on these cloud storage services. Lets look at how we can get more free cloud storage space on OneDrive, Copy, Bitcasa and Mega. Also See: How To Get More Free Dropbox Cloud Storage Space? 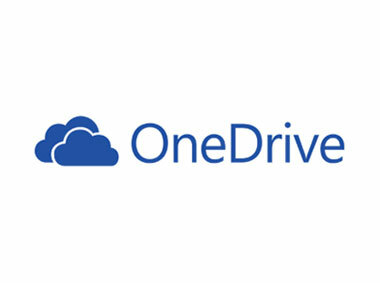 Microsoft has recently increased the free cloud storage space on its OneDrive from 7 GB to 15 GB. You could also get up to 5 GB more free storage by referring friends and an additional 3 GB free OneDrive cloud storage space by activating your camera roll backup to save photos automatically. Microsoft also offers a whopping 1 TB (1024 GB) free OneDrive cloud storage space to all Office 365 subscribers. All Microsoft Surface 2 and Surface Pro 2 devices come with an extra 200 GB free OneDrive cloud storage space for two years. Copy gives away 15 GB free cloud storage space to anyone who signs up. You can get more free cloud storage on Copy by referring friends. You earn an additional 5 GB cloud storage for every referral. There is no limit on how much free space you can rack up and sky is the limit. Bitcasa offers upto 20 GB free cloud storage space to its customers. Bitcasa also has a special relationship with Samsung and offers additional free cloud storage with many Samsung devices. All Samsung Windows 8.1 devices get an extra 50 GB free Bitcasa cloud storage space for two years. Samsung’s flagship, the Galaxy S5 gets an extra 1TB free cloud storage for three months and the Samsung Galaxy Note 3 gets infinite free cloud storage for three months. You get a relatively high 50 GB free cloud storage by just signing up for Mega. Mega doesn’t have any promotions or referral programs right now. So, you can’t get additional free Mega cloud storage space. Do post in the comment box below if you know of any other methods by which you have got more free cloud storage space on OneDrive, Copy, Bitcasa or Mega. Previous post: How To Get More Free Google Drive Cloud Storage Space? There is a very easy way to get more than 1TB on Mega, OneDrive, Google etc without referring anyone and without paying a penny … Open multiple accounts, pretty damn easy. I’ve got over 5TB on Mega and just use all the same passwords and keep a list of the E-Mail addresses/Logins in MS Access. Yep, lol. That’s not a very good idea to maintain that many accounts with that much storage, because you’re hurting that company financially and at some point they’re gonna delete your accounts or go out of business. 50GB is very generous of them, all things considered. Be happy with that. It’s not that bad! All of these companies use deduplication (dedupe) on live storage data, so they can do a lot with very little storage! Chinese Cloud offer 1TB+. Below is meh. If I know how to speak chinese and had a chinese number, would get. Copy copy.com?r=NJhn7O is one of the bests free cloud. 15gb + 5gb by a friend indication: copy.com?r=NJhn7O. Bitcasa gives 5mb free space after signing up not 20mb. That’s what I know from other websites. You should update your info. Never lose a file again! Left your phone on the train? Your photos, docs, and videos are safe. Just sign in to Dropbox or OneDrive from any device, and your files will be there waiting for you. However, a regular new user starts from 2gb. Don’t waste your time. Use this link db.tt/n5XW0wow to start like a PRO with 2.5Gb! of your personal DropBox space FREE and FOREVER! Use this link onedrive.live.com/?invref=7ec8f1f2dc2dd2dd&invsrc=90 to get 7.5Gb on your new OneDrive FREE and for good! Each new customer who signs into OneDrive with this link, will receive extra 0.5 GB of free storage.. Help me to increase my storage.. Thank you. Use this link to get another 0,5GB of free space in your OneDrive!